Welcome to my blog! 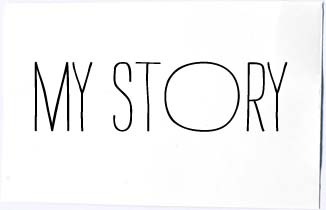 I started blogging on December 12, 2008, as my personal journal to share with you all my crazy life and the Behind the Seams™ of building my brand Boy Meets Girl® (first using my blackberry, then my droid, now my iPhone5s and as of February 2014 dabbling with my new gorgeous Canon EOS Rebel T3i). Over the past 8 years it has evolved into more than just my journal entries. It now incorporates all facets of my life! From what I wore at events, Q and A’s with my friends (from fashionistas to musicians), Entrepreneurship 101, My Tips (from Nails to DIY to fittings and more), my Midnight Inspirations (the things that inspire me all the time aka, Kate Moss & Johnny Depp, products I adore and most recently my son Dylan Reid aka Dj Dylan Reid who was born on October 4th, 2014), My Features on Olivia Palermo, and the list goes on and on. 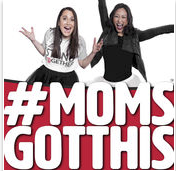 Also, check out my new podcast launching over this Mother's Day 2018 called #MOMSGOTTHIS. Boy Meets Girl® founder, Stacy Igel, began her career at the ripe old age of 4, styling her pre-K classmates and staging fashion shows in her school's cafeteria. 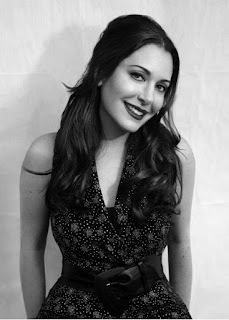 Igel further honed her skills by working with iconic brands and personalities such as Izod, Elie Tahari, Zandra Rhodes, and Elsa Klensch. 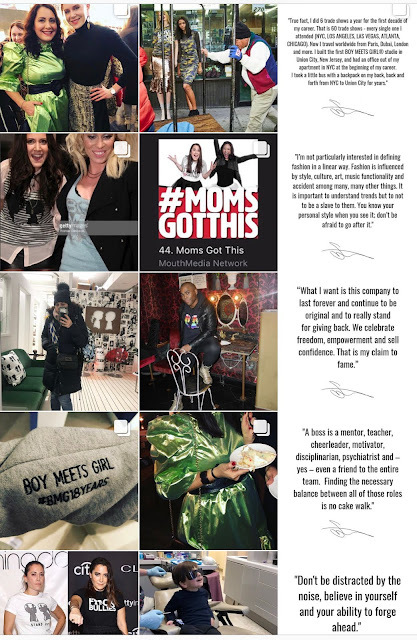 Igel founded Boy Meets Girl®, an edgy yet wearable, stylish yet casually classic young contemporary brand that has been featured in publications including InStyle, Teen Vogue, Lucky, Seventeen, WWD, and The New York Times, among others. The brand, currently sold at Nordstrom and Colette in Paris, has previously been seen on the racks of department stores such as Bergdorf Goodman and Bloomingdales. BMG offers a full range of graphics tops and bottoms, as well as jackets, sweaters, and accessories. The brand has been photographed on high-profile fashionistas such as Rosario Dawson, Brittany Snow, Nina Dobrev, and Kendall Jenner. Igel has received numerous design awards and honors, and is a frequent lecturer and panelist on subjects including social media, branding, and entrepreneurship. Igel has personally shopped for and styled celebrity clientele around the world and continues to mentor young designers and advocate for charitable causes. 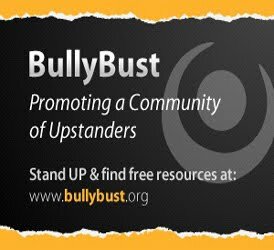 She has teamed up with Bloomingdales and teen celebrity Sammi Hanratty to fight bullying in schools (www.BullyBust.org) and collaborated with Urban Outfitters and the Young Survival Coalition (http://www.youngsurvival.org) to fight breast cancer. 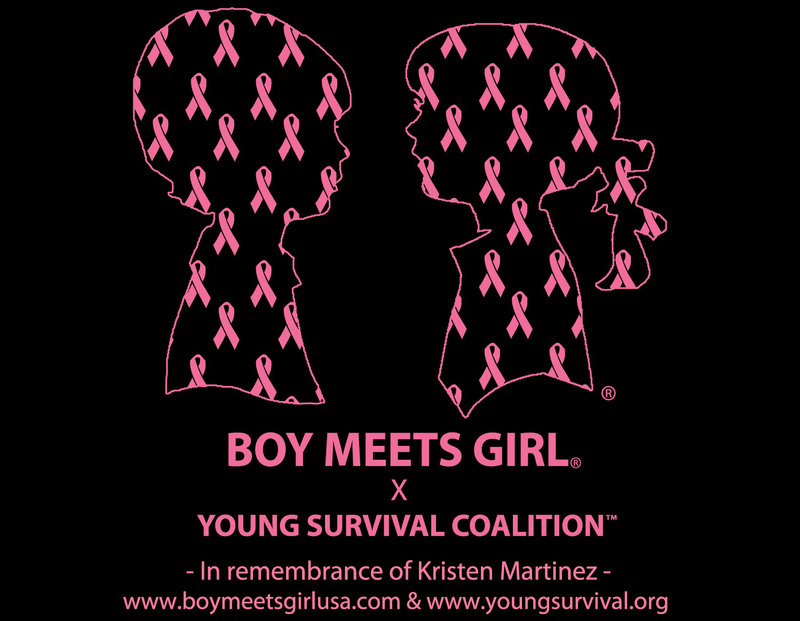 Websites: www.BoyMeetsGirlUSA.com & www.BoyMeetsGirlUniversity.com.